Big Ang strikes a pose with some of the bottles in her new wine line at her official launch party. “Bigger is better” is the motto this vivacious star lives by, and she’s certainly living up to that reputation! 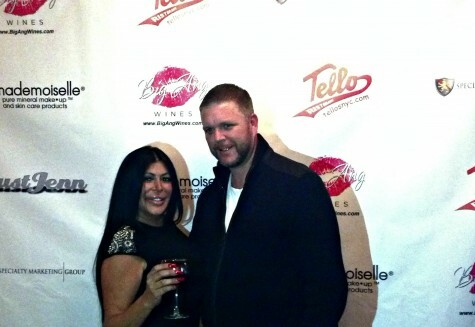 Angela Raiola, otherwise known as “Big Ang” from the popular reality television series Mob Wives, had an official launch party for her new product, BigAngWines on October 24th at Tello’s NYC. The authentic Italian restaurant was an intimate gathering of friends and family celebrating her newest liquor venture, which included Cabernet, Chardonnay, and Prosecco. Attendees were invited to taste samples from her collection, check out the elegant wine bottle design, and enjoy a customized cake made to replicate the bottle design itself! 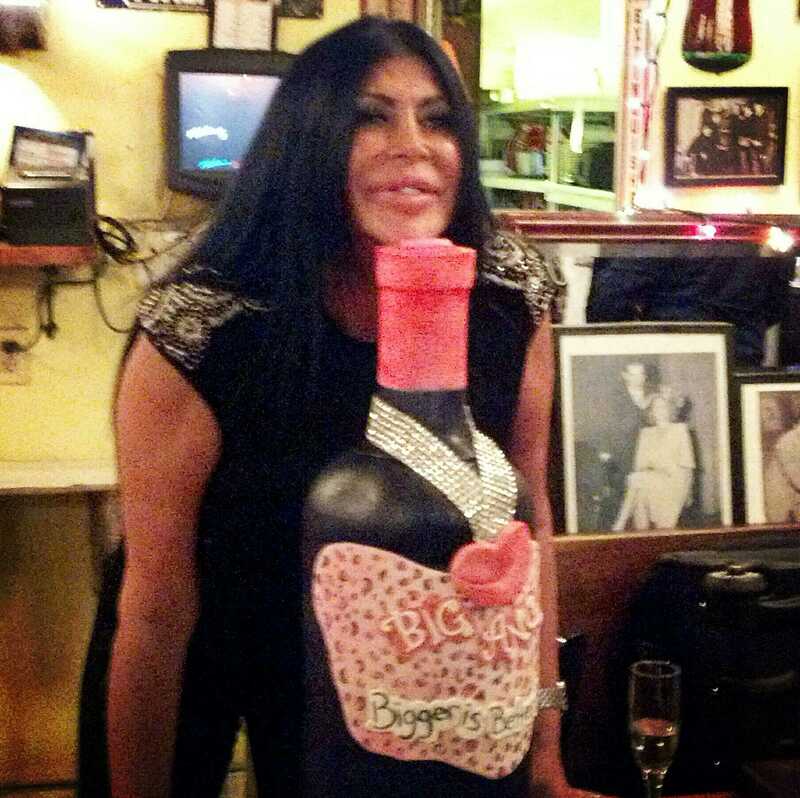 Big Ang poses with her customized wine bottle cake at her official launch party. Big Ang and her husband, Neil pose for the camera at her official launch party. To purchase any one of the three varieties of her new collection, check out BigAngWines.com! Don’t forget to follow her on Twitter @BigAngWines and ‘Like’ Miami Monkey on Facebook.